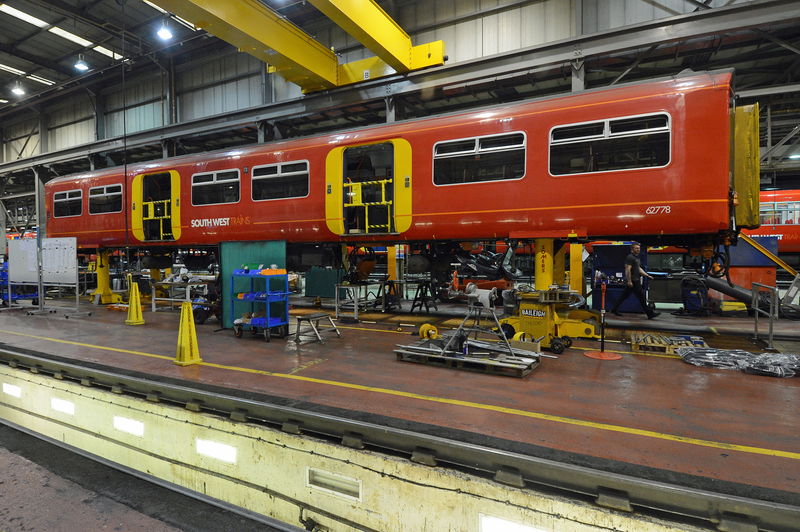 Yesterday I visited South West Trains Wimbledon Park depot to see the second of their Class 455 fleet being converted to AC traction & hear Christian Roth, Engineering Director for South West Trains, who was on hand to talk about the reasons for the programme. 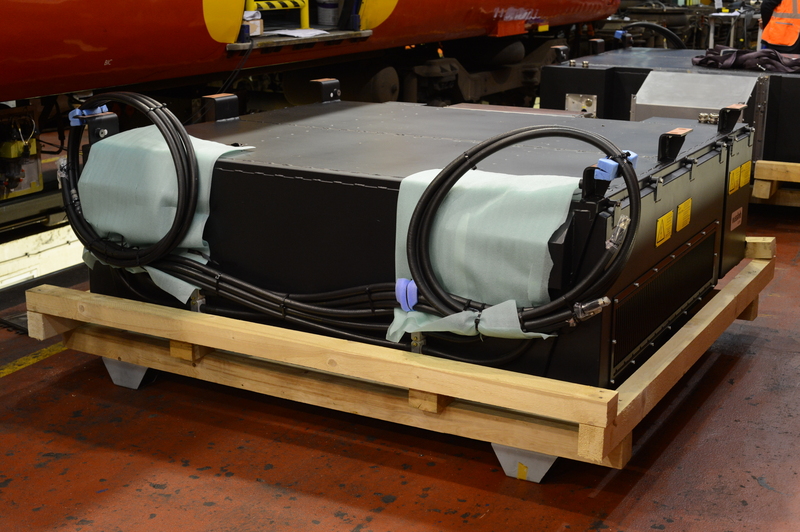 AC traction motors give the train regenerative braking capability saving £2m a year in electricity bills and lessening wear and tear on the braking equipment compared to pure friction braking. 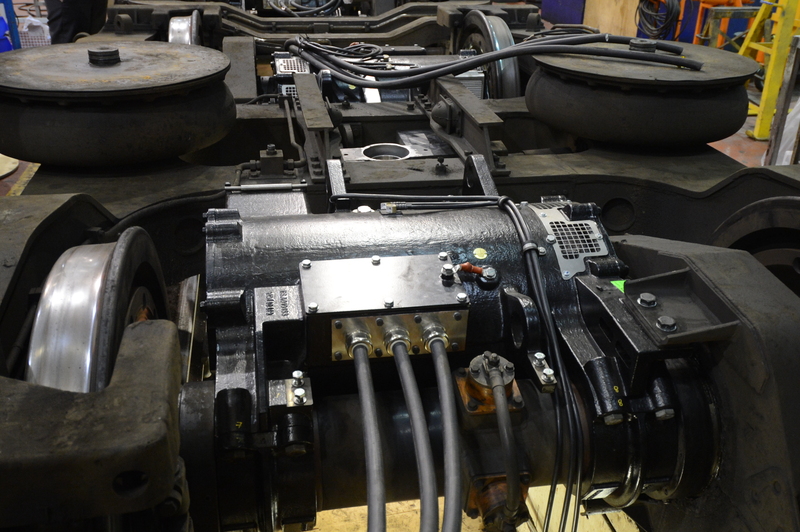 They’ll have new Wheel Slip Protection (WSP) system which is based on modern, European Algorithms rather than the legacy BR system the 30yr old units have now. This will reduce wheel flats during the leaf fall season & help extend the exam period from 10,000 miles to 15,000 miles. 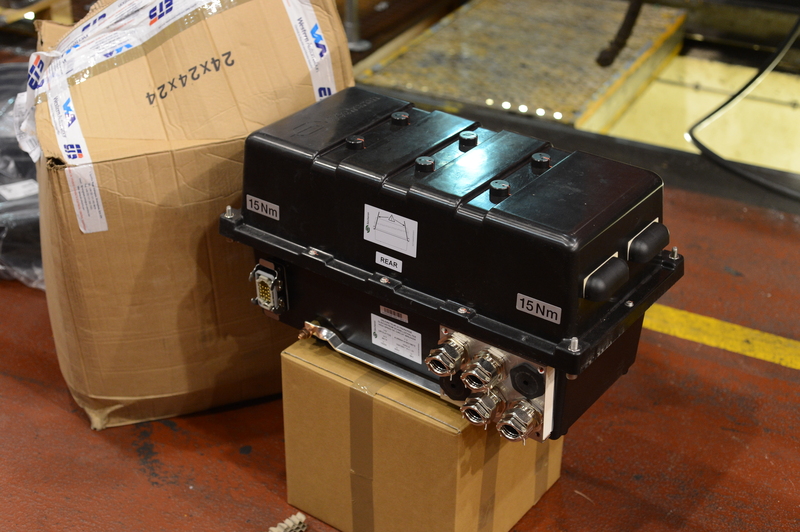 The new A/c motors are also less prone to damage from snow ingress. Extending the maintenance regime frees up space at Wimbledon Park allowing it to become home to SWTs next fleet – The 30×5 car Class 707 Desiro City trains from Siemens. 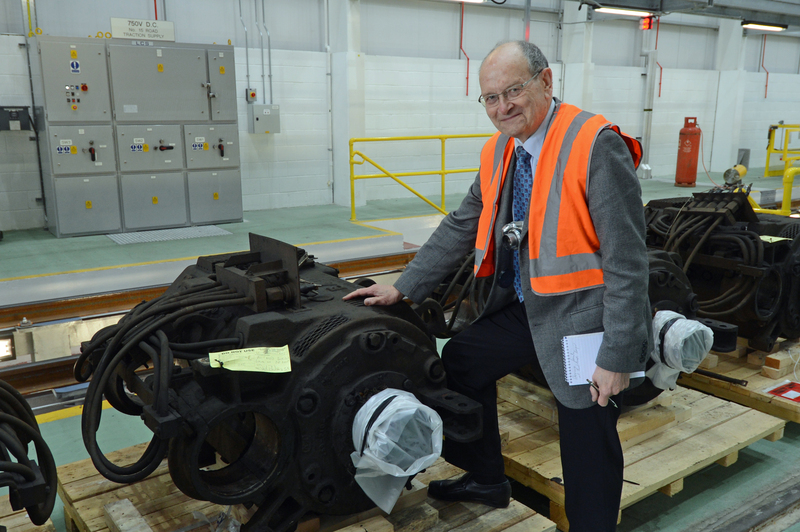 This £210m investment is vital to tackle growth & overcrowding on the SW network. Without the space at Wimbledon Park a new depot would have been necessary, significantly altering the finances of the Class 707 project. After Christian’s briefing we went to inspect the second unit to be converted (5870) which was sitting inside the Inspection shed on 12 road. Here’s a look at the work. Right now 5732 is undergoing tests between Bournemouth & Weymouth. Once 5870 is completed (which is expected to be 19th June) it’ll also be sent to Bournemouth & the two trains will carry out further tests such as passing at speed & running as 8-cars. 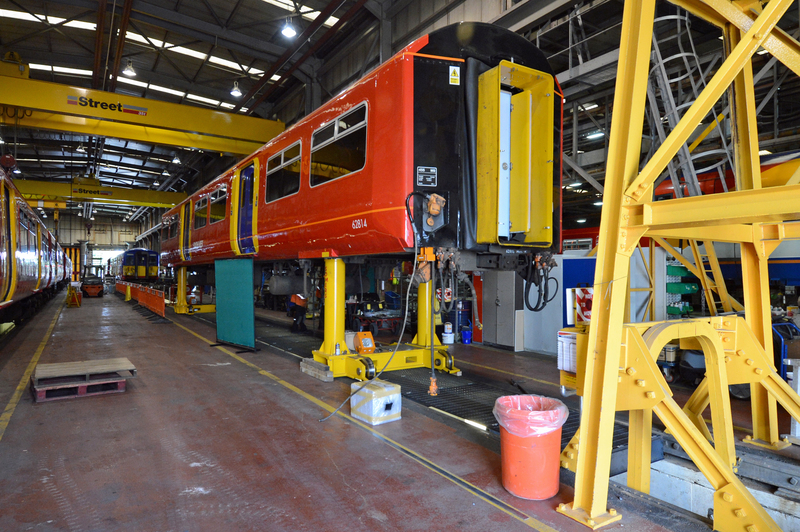 Once testing is finished by the end of July the converted trains will enter service & free up others for the programme which will be carried out at the Arriva train depot at Eastleigh, starting at the end of August/ beginning of September. Three trains per week will be converted until the programme is complete in August 2016.